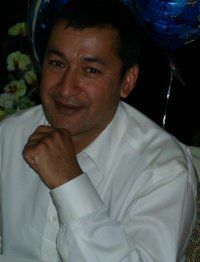 Inspiring Wealth Ltd was founded by Ash Rawal. Recognising the need for clear, concise, understandable financial information, he started his own company with a mission to provide individuals with sound, impartial and professional financial advice. Inspiring Wealth Ltd is an impartial and professional financial advice business. Ash Rawal, the managing director, was the first ever person to open an ISA in 1999. This was reported in national newspapers, including the Financial Times; The Times; The Independent; and the Sun; as well as local media such as The Derby Evening Telegraph. He has been profiled in the centre pages of the Daily Express financial supplement as a successful private investor. Ash graduated with an Honours Degree in Finance and Business in 1986; has invested his own money in a number of areas for over 30 years; and previously was a professional lecturer in finance and business for over twelve years. Prior to entering the financial services industry, he also operated two profitable businesses. He was commissioned to write an article by the UK's largest stockbroker on his successful investment philosophy. Having gained this unique personal and professional experience, Ash believed he would be able to utilise his background and credibility to help provide people with professional financial advice that he did not feel was widely available. After becoming a stockbroker, and successfully running an office for the world's largest retail stockbrokers, Ash set up his own business, . One achievement Ash is particularly proud of is that he has helped to pioneer the ethical investment industry into one which now may be regarded as a mainstream industry. Ash has achieved a very high level of professional and academic qualifications throughout his life. His qualifications include an Honours Degree in Business and Finance; A Masters Degree; Professional Teaching and Training Qualifications; A Professional Stockbroker Qualification; CEMAP; and Professional Financial Qualifications including the Financial Planning Certficates, and the Diploma in Investment Planning. Ash has achieved PFA status. Ash is regularly requested by BBC Radio Derby to enlighten listeners regarding important and topical financial matters. He has also appeared on BBC Television in this capacity. Inspiring Wealth Ltd/Ash have received numerous awards which are testament to the results and business philosophy and processes that have been implemented by the company. Please refer to the Home page for more details. Inspiring Wealth Ltd's approach means that you, the customer will receive truly impartial advice that aims to have your best financial interests at heart. Whilst many financial companies bombard people with jargon and endless information that only confuses people, we seek to simplify financial decisions by empathising with clients' situations and then recommending personalised financial solutions. Our expertise and successful investment track record has been as a result of building, monitoring and progressively developing and improving our own investment portfolios - designed for the needs of our clients. Inspiring Wealth Ltd uses impartial, specialised, sophisticated and dynamic research processes to ascertain, review and develop clients' investment portfolios. This is with the aim of optimising clients' investment performance potential in accordance with changing personal, financial and stock market circumstances. This is in sharp contrast to many other financial advisers and companies who delegate their investment decisons to third parties, thereby losing control of the precision; composition; optimisation and rationale of their investment processes. We firmly believe in educating our clients with the intention that they understand their financial affairs and the consequences of their financial decisions. Time is carefully given to develop individual financial advice for our clients that suit their personal situation. By using this approach we aim to ensure our clients become more financially aware and are clearer about not only what course of action to take but also, more importantly, why they should follow that particular strategy. After all, if you do not understand your own financial affairs, how do you know that your adviser is putting YOU first? Contact us today to learn more about how we can help you achieve your financial goals. You will not be charged for the first hour of the initial visit.